It might come as a surprise that the front three of Manchester City are at a lowly 6th spot in the race to be crowned the best front three in Europe. Such has been the form of strikers elsewhere, coupled with the patchy form of City over last two months, that the exploits of Sterling Aguero and Sane, which is impress yet not deserving of top 5. 38 goals from the front three is quite exceptional, considering Leroy Sane is just 23 and Raheem Sterling is 24. Sergio Aguero struggled with injuries for few weeks, but that did not stop him from doing what he does best. The recent win over Arsenal being a great example. 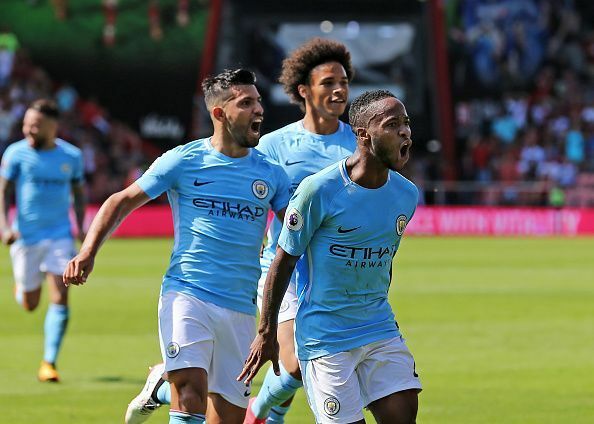 Sterling and Aguero’s form make them one of the first name son the team sheet, alongside the brilliant Bernardo Silva. The trio will be key to help City keep pace with Liverpool who have been the trendsetters in the Premier League title race. Harry Kane hasn’t stopped scoring, showing just how good and consistent he is, but it has been the form of Hueng min Son that has been so promising for Spurs. Son has stepped his game up to become a sure-shot starter alongside Dele Alli and Christian Eriksen, making it a very attack minded line up. Add to that the form and goals of Lucas Moura, especially his brace against Manchester United, making it a welcome headache for Mauricio Pochettino to accommodate all the attacking talent. Pochettino has done well to do just that, keeping his team in the title race and pulling away from the 4th place scrap and keeping pace with Liverpool and Manchester City. If Harry Kane continues from where he left off after he returns from injury, this just might be the year for Tottenham and Pochettino to win the Premier League.